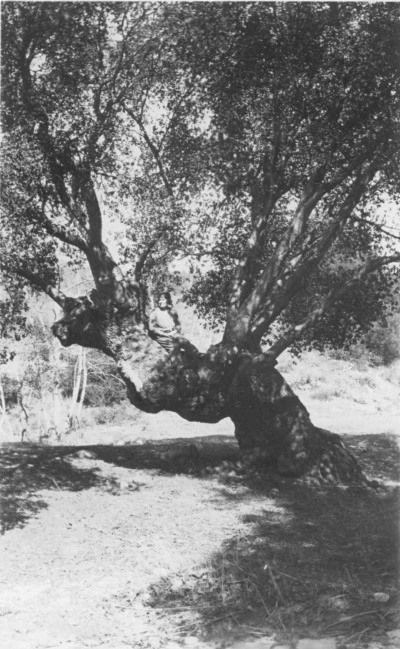 Oak of the Golden Dream, where legend says Francisco Lopez discovered gold on his 40th birthday, March 9, 1842. It was indeed the first documented discovery of gold in California, but the history's fuzzy on whether it actually happened under this tree, or down a ways in Placerita Canyon near some sycamores. George Starbuck's caption: "Discovery tree where the Indians hid."